Here's the new UK spec list for this week! Shock! Horror! I have a Dark Horse book in this week's list! As reported in my breaking news last week, no copies of the 1:25 variant made it to this side of the pond due to an issue with diamond UK. This book is hot stuff with sales reaching £90 ($140), and even though it seemed this book would be readily available in the US, it quickly shot in value there too. The standard cover was cleared off eBay and LCS shelves nation wide, with initial prices going up to £9.95 ($15). Copies are now available on eBay for £6 to £7 ($9 to $11.50), but once those dry up, I can see this being a steady £10 to £20 ($15 to $30) book. With Spider-Gwen being a hot property, most US variants are doing really well in the UK. 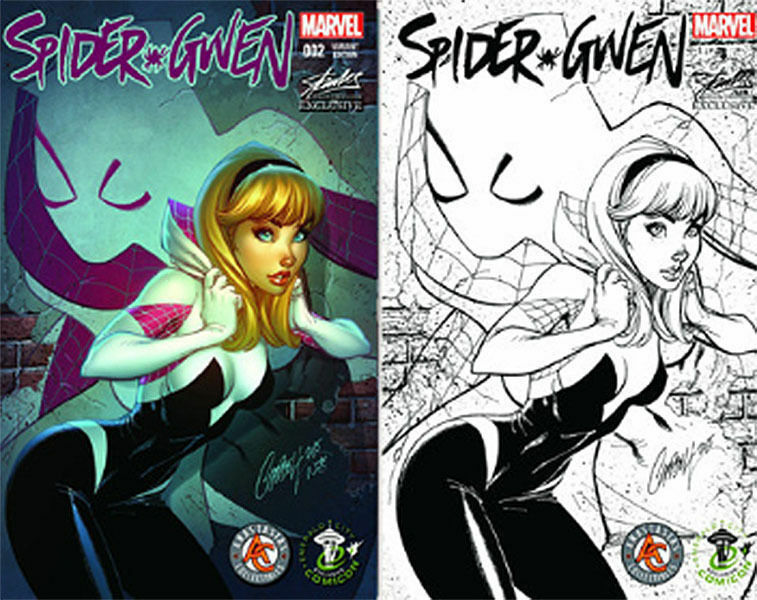 These variants are J. Scott Campbell exclusives for Emerald City Comic Con, but if you know where to look, you can pick these up for $25 (£16.50) each and they are selling in the UK for between £30 & £50 ($45 to $75) for the Colour version (no recorded sales yet for B & W). There are also a couple of other variants for issue 2, Comicxposure, Midtown and Dynamic Forces, but I think the JSC's will be the ones most in demand. Normally I wouldn't spec on a book by Dark Horse, but this seems to have sold out everywhere. The most recent sales in the UK are 2x cover and the only ones available for sale on eBay UK are now at 4x cover at £10 ($16). 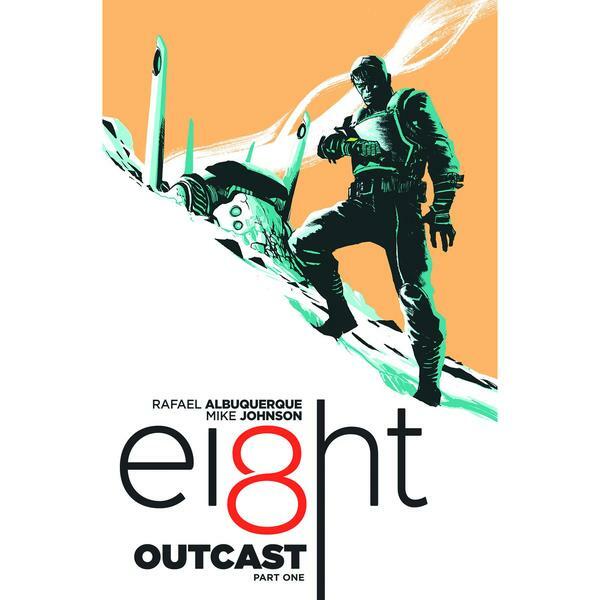 Ei8ht features one of my favourite artists in Rafael Albuquerque and, although I haven't actually read it, I can see it's gotten some excellent reviews. I reckon this at best is a quick flip as A) it's Dark Horse and B) it's a 5 part mini-series. Thanks for this write-up. Do you think both Marvel female characters (Silk and Spider-Gwen) have staying power or will become irrelevant? I think spider gwen and silk are both here to stay…at least for this year. 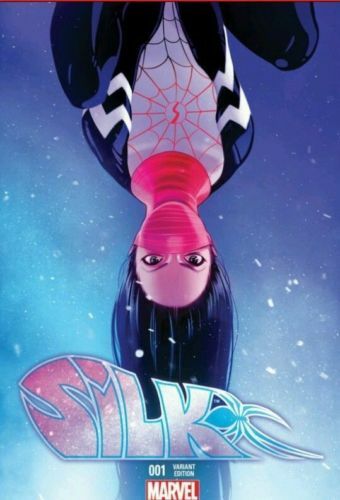 I like spider gwen, hopefully shes here to stay…dont know much about silk myself.